Short, cocked tail........either Winter Wren or Pacific Wren. I'm not knowledgeable enough to say which. I didn't think there was a difference in shape. Did you hear any calls? I love it when other people's questions help me learn a little. I had to look this up because I was curious with how the conversation was going. The 2nd Edition of Sibley's guide shows the pacific as being darker, and this bird is darker, and apparently pacific is all you'd have, typically. I didn't know they were a split either. 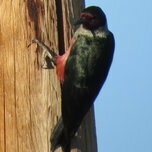 I am curious if anyone knows anything about habitat and behavior, if there are any differences between the two. I have only ever found winter wrens here in Arkansas while near(really near) water. 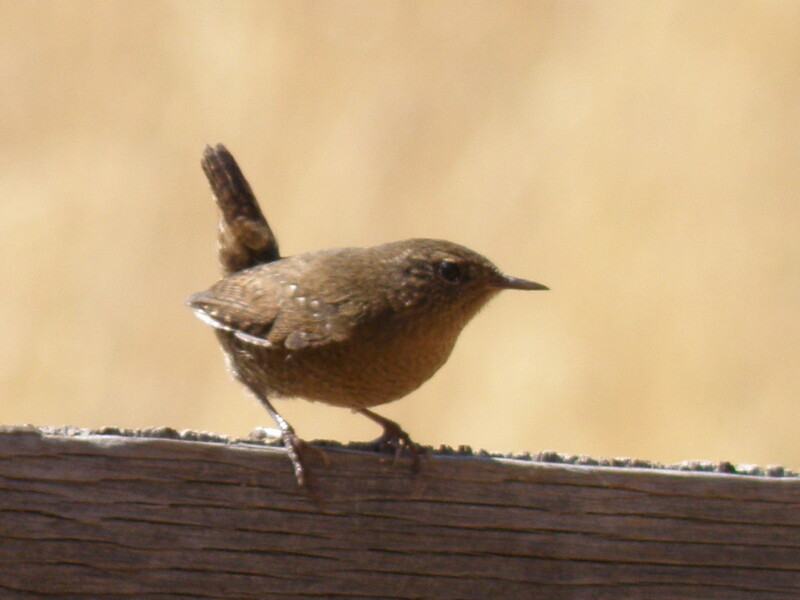 Are the pacific wrens similar? My limited experience with pacific was in a campground in Pacific Rim National Park, where it was flitting and creeping around tree bases and under and over logs, much like winter wrens. One difference in this case was that the understory of the mature fir/spruce forest was much more open than that of the cedar/spruce forests where I usually find them in Ontario.